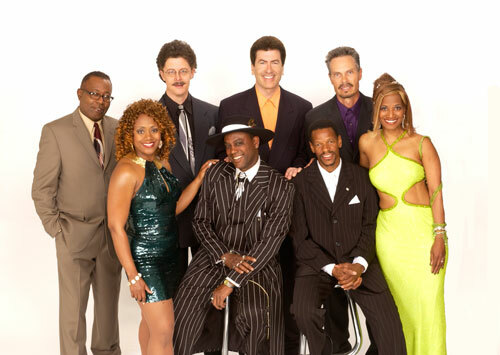 During its 25 years of phenomenal success, Pride & Joy has remained the most popular band on the Bay Area music scene. This group is the Pride of the Bay Area and a Joy to anyone who loves to dance. They have achieved this by presenting the most timeless pop/soul music of our time in an electrifying high-style show that pulls the audience directly into the heart of their performance. This band can play anywhere from the most popular clubs on the circuit to wedding receptions the top society parties and corporate events everybody, everywhere, instantly relates to the music. “It’s always been natural for us to reach out and drawin the audience.We make the people feel they’re part of the performance because they are,” says Pride & Joy founder and bandleader Coleman Burke. “That’s what Pride & Joy has always been about – – creating a great feeling in the room. That’s as important a part of our show as the work we put into our look, choreography and arrangements.” As evidence of Pride & Joy’s across-the-board staying power, the band regularly sells out full- weekend engagements at San Francisco’s permiere nightclub, the Great American Music Hall and has set a house record at New George’s, Marin County’s most prominent club. In addition, they have played venues in Reno, Lake Tahoe, Arizona, Southern California, Hawaii, Phoenix, Palm Springs, Los Angeles as well as other cities.